With great regret and sadness we inform that yesterday, May 16, 2018, an outstanding mathematician well known specialist of dynamical systems theory Sergiy Kolyada passed away. His main work relates to topological dynamics, entropy, chaos, and low-dimensional dynamical systems. Sergiy Kolyada conducted active research and organizational activity. He has repeatedly been invited to the leading universities and research centers of the world. In particular, he was a guest professor at the Max Planck Institute for Mathematics (Bonn, Germany), a co-organizer of a large number of conferences in dynamical systems, revived the Kyiv Mathematical Society and was its President from 2006 to 2014. In 2010 he awarded the State Prize of Ukraine in the field of science and technology, and in 2013 a John von Neumann Visiting Professorship at the Munich Technical University. 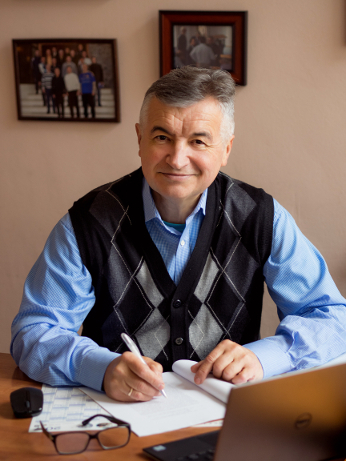 Very recently he was appointed as a Chief of the Department of Dynamical Systems Thoery and Fractal Analysis of the Institute of Mathematics of the National Academy of Sciences of Ukraine. We bring our deep condolences to all relatives, friends, and colleagues of Sergiy and to all who knew him.